How are APA product numbers structured? What is APA's return policy? How do I search for a product using only part of the product number? How can I pick up my order instead of having it shipped to me? 1. How are APA product numbers structured? PZ : First 2 digits identify the manufacturer. 55 : Second 2 digits identify the product category (some categories are identified by 4 characters). 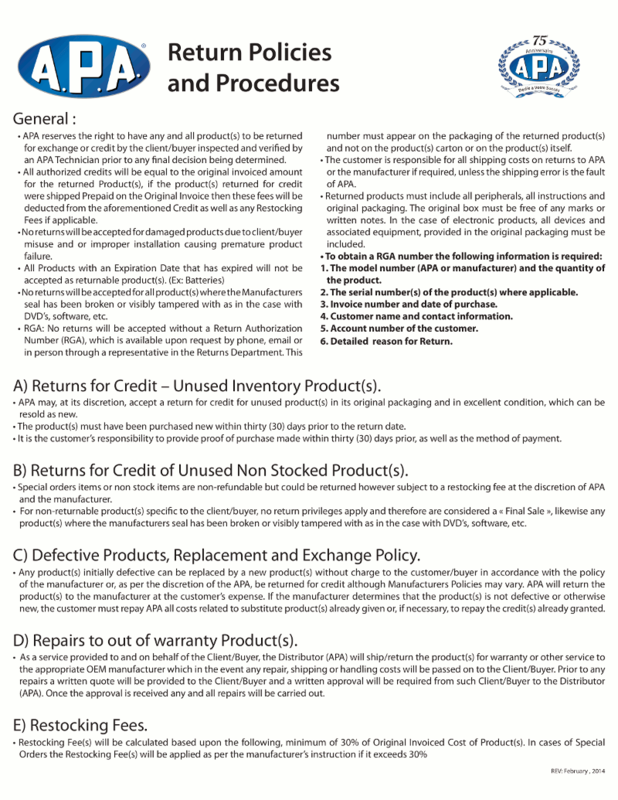 DG75 : Supplier's product number. In this example, it is a DG75 Digigard motion detector from Paradox. 2. What is APA's return policy? You can read our return policies here, or you can download it as a pdf document here. 1. How do I search for a product using only part of the product number? The asterisk is used like a wildcard. 2. How do I review my orders? Please refer to the picture further below to fully understand this topic. Menu to the left of the screen = Select "Review Orders"
By choosing these options, the process will be accelerated. 3. How can I pick up my order instead of having it shipped to me? If you would like to pick up an order instead of having it shipped to you, please add "FOR PICK UP" in the Order Comments section on the checkout page. This information will be printed on the first line of the order.